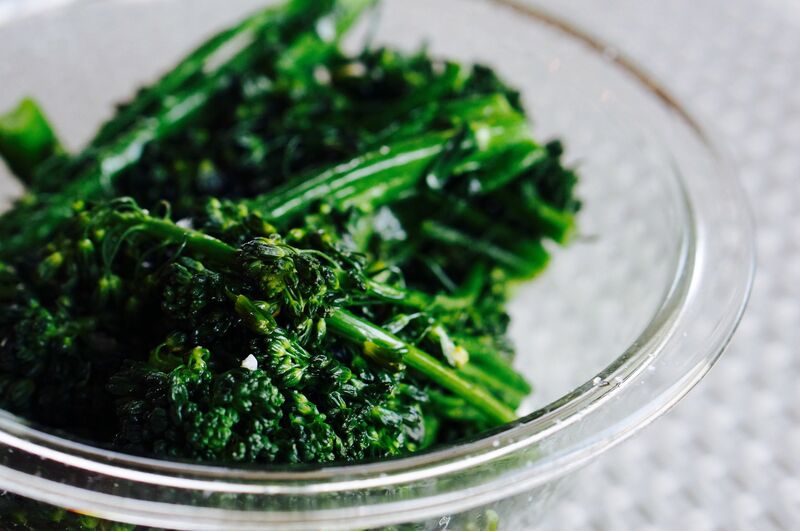 One of our favorite side dishes and goes well as a snack, salad or side dish! To top it off it is super nutritious! Remove from stove and discard water. Combine olive oil and garlic salt.